While we just celebrated the birthday of our own “land” this weekend, there seems to be a more widespread undercurrent in the air. The appeal of returning back to the land is a movement literally underfoot. 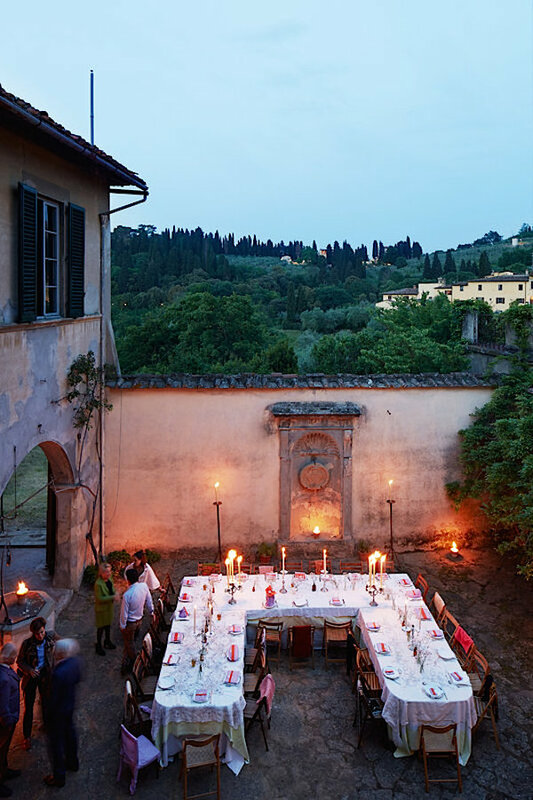 From the longstanding farm to table movement, to a renewed interest in home made and artisanal products, where the connection from maker to buyer is transparent, we have slowly progressed to the point where the fantasy of a life even closer to nature is becoming a reality for many. I’m sure many of you are fans of the talented, entertaining and beautiful Mimi Thorisson. 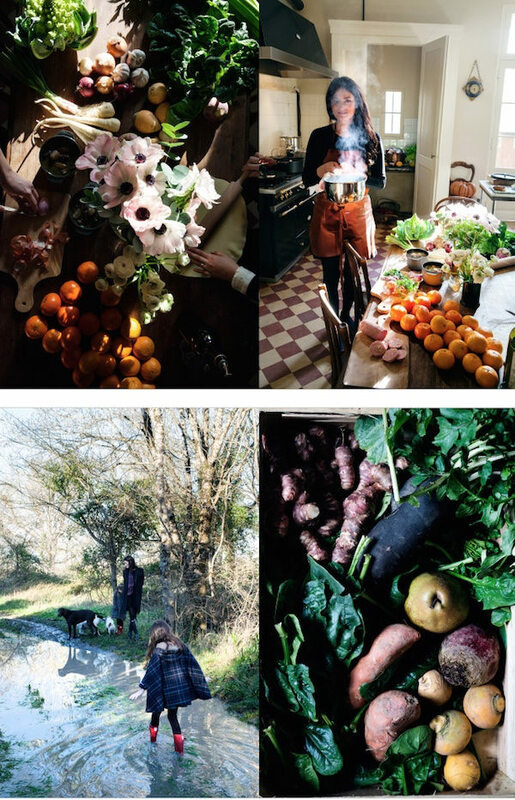 I have been following her blog Manger almost from the beginning and her first book, A Kitchen in France, is a must-have for those interested in honest French food and a peek at her idyllic farmhouse life. She and her Icelandic photographer husband, Oddur Thorisson, with six children between them then (three together) and a brood of dogs, outgrew their Paris apartment and moved to the Médoc. They now hold spring through fall workshops there on a variety of topics, from cooking and wine to photography and antiques. 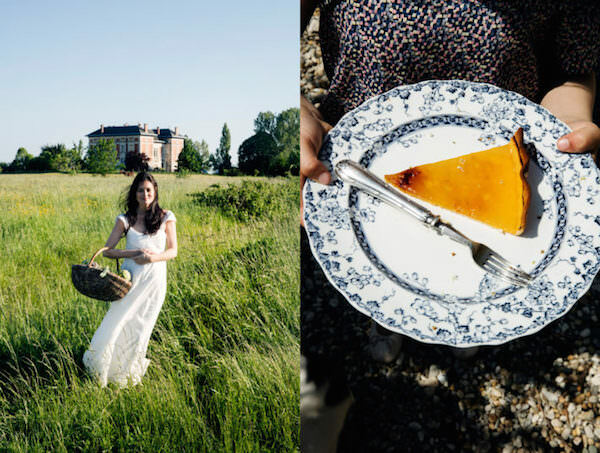 With a brand new baby and another cookbook, French Country Cooking, coming in October, I have no idea of how she juggles it all but it is an inspiration. From family feasts to foraging for mushrooms, to vineyard visits, it is a authentic life back to the land. 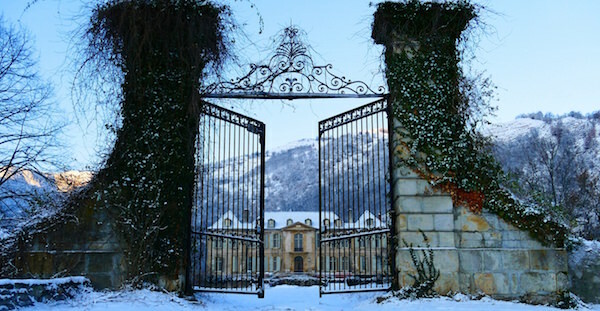 Another French story of returning back to the land is the magical tale of Chateau de Gudanes. 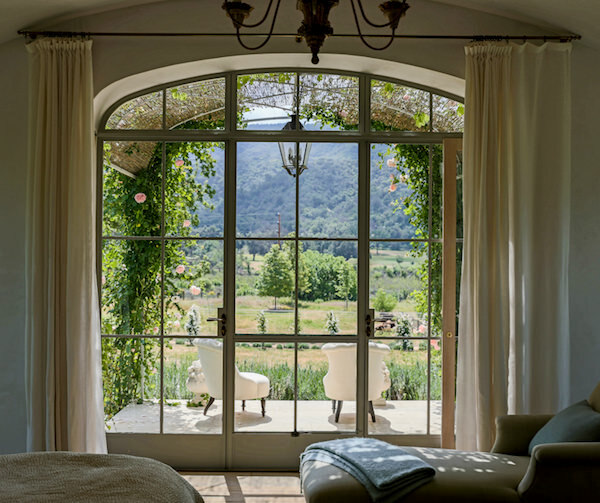 Built in the mid 1700’s, the chateau, in the heart of the Pyrénées, was purchased three years ago by Craig and Karina Waters, an Australian family, who have relentlessly been restoring the chateau with an eye to sustainability. Their mission is not to bring it back to its former glory but rather as a place to “reconnect with the earth and people, and restore the senses.” They also have hosted classes, and this summer are holding a 10 day decorative arts restoration workshop with Messors, who offer art restoration, conservation and culinary history workshops to connect with the land and cultural heritage. Closer to home is Patina Farm, Brooke and Steve Giannetti’s beautiful California home, that Susanna and I visited last month. If you missed our video tour, be sure to stop by – you’ll be enchanted! 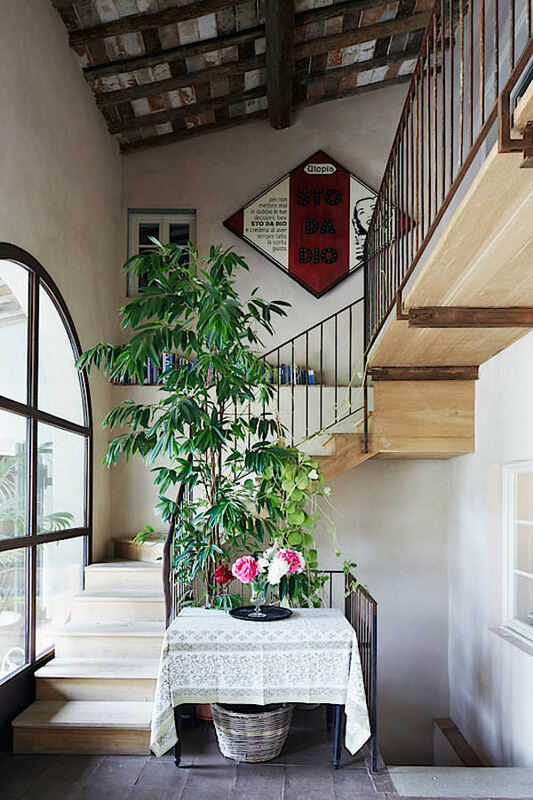 Lastly, and what instigated this post, was a piece in T Magazine last week about painter Fiona Corsini di San Giuliano’s Tuscan home. An active farm since the Middle Ages, their 15 acre home took over two years to transform, combining 16th century buildings, into a single residence. 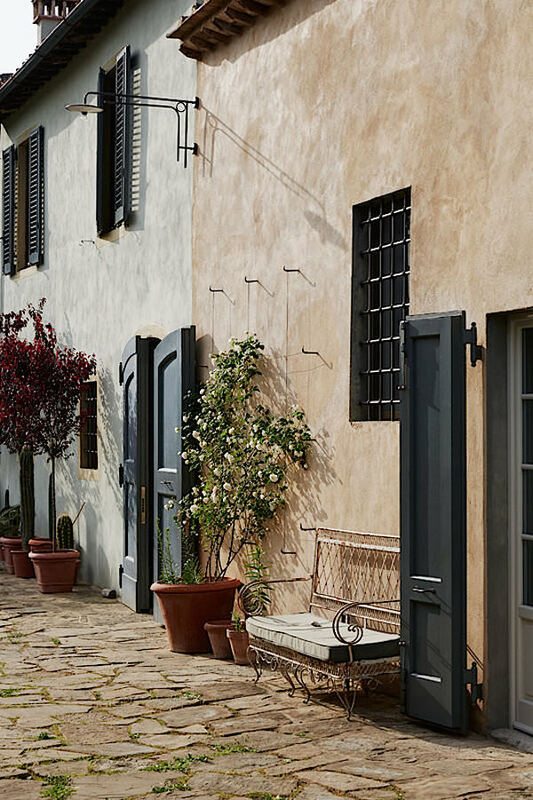 While modern accommodations such as geothermal heating and cooling, were installed, it still has a timeless, and as the title of the piece explains, bohemian sensibility, that feels centuries old. With six children, Corsini di San Giuliano frequently shares the villa with her twin sister who has five children of her own. An inside/outside lifestyle is infused through the home through plants, decor and a courtyard large enough for outdoor celebrations. This entry posted in architecture, travel. Entry Tags: Chateau de Gudanes, farm life, Mimi Thorisson, patina farm, restoration, T magazine Bookmark the permalink. Thank you for this wonderful post, Stacey. I also think this “back to the land” movement is a true counterpoint reaction to the “surface but no substance” and rampant negativity in our Western culture today. I am all for it. Well put, Heather. I am all for it too. Thank you so much for this post. I feel like I just had a mini vacation and a breath of fresh air. It was so inspiring to read! Thank you! Now that’s style on a whole different level!! Wow is really all I can say, well and jealousy. The recipes always make me hungry as a bear. Thank you! 82 queries in 0.504 seconds.